This study evaluated the effectiveness of an 8-week mindfulness training for children aged 8–12 with ADHD and parallel mindful parenting training for their parents. Parents (N = 22) completed questionnaires on their child’s ADHD and ODD symptoms, their own ADHD symptoms, parenting stress, parental overreactivity, permissiveness and mindful awareness before, immediately after the 8-week training and at 8-week follow-up. Teachers reported on ADHD and ODD behavior of the child. A within-group waitlist was used to control for the effects of time and repeated measurement. Training was delivered in group format. There were no significant changes between wait-list and pre-test, except on the increase of teacher-rated ODD behavior. There was a significant reduction of parent-rated ADHD behavior of themselves and their child from pre-to posttest and from pre- to follow-up test. Further, there was a significant increase of mindful awareness from pre-to posttest and a significant reduction of parental stress and overreactivity from pre-to follow-up test. Teacher-ratings showed non-significant effects. Our study shows preliminary evidence for the effectiveness of mindfulness for children with ADHD and their parents, as rated by parents. However, in the absence of substantial effects on teacher-ratings, we cannot ascertain effects are due to specific treatment procedures. Children with ADHD [Attention Deficit Hyperactivity Disorder] have problems maintaining attention over prolonged periods of time, have difficulty to hold goals and plans in mind and have difficulty inhibiting a pre-potent response (e.g. Barkley 1998). Consequently, their behavior is inattentive, impulsive and hyperactive. ADHD is highly heritable; therefore parents of children with ADHD may also display ADHD symptoms (e.g. Thapar et al. 2007). To date, there are two evidence-based treatments for children with ADHD, medication (mostly stimulants) and behavioral treatments (Van der Oord et al. 2008). However, both have limitations. Medication works only short-term, children often show side effects, and treatment fidelity is often low (Schachter et al. 2001). The most used form of behavioral treatment is behavioral parent training. However, ADHD is highly heritable and a diagnosis of ADHD of parents is a predictor of non-response to this behavioral parent training (e.g. Sonuga-Barke et al. 2002; Van den Hoofdakker et al. 2010). Cognitive behavioral treatments for ADHD are focused on learning the child skills or coping methods to handle their ADHD or associated problems. These cognitive behavioral treatments do not meet criteria for empirical support; long term effects are limited and generalization of the learned skills to other settings than the therapy setting is often low (Chambles and Ollendick 2001; Pelham and Fabiano 2008). Therefore, other treatments, next to regular treatments, focusing on the core problems of ADHD, need to be investigated for children with ADHD and their parents. Therefore, we conducted this pilot-study investigating the effectiveness of mindfulness training for children with ADHD and their parents. Mindfulness training is an intervention based on eastern meditation techniques, that helps increasing awareness of the present moment, enhances non-judgmental observation, and reduces automatic responding (Kabat-Zinn 2003). Mindfulness is effective in adults with depression, pain, anxiety, eating disorders and reduces aggression (Hofmann et al. 2010). There is a growing body of research on the effectiveness of mindfulness for children and adolescents with psychopathology (for reviews see Black et al. 2009; Burke 2010). Both reviews conclude there is possible evidence for the effectiveness of mindfulness in children, however, effect sizes are smaller than in adult samples, and studies in certain subgroups of psychopathology are lacking. In ADHD samples only few non-controlled (case) studies (Grosswald et al. 2008; Singh et al. 2010; Zylowska et al. 2007) are conducted on the effectiveness of mindfulness (Black et al. 2009; Burke 2010). The study by Grosswald et al. (2008) shows in 10, 11–14 year old children with ADHD reduced attention and total problems after transcendental meditation using a non-controlled pre-post design. Zylowska et al. (2007) report that mindfulness meditation training in 24 adults with ADHD resulted in improvements in self-reported ADHD symptoms and test performance on tasks measuring attention and cognitive inhibition, however, ADHD related scores of the 8 participating adolescents with ADHD are not reported and the study only used a non-controlled pre-post design. In two case studies of children with ADHD significant reduction of compliance of the child is reported after intensive mindfulness training for both parent and child (Singh et al. 2010). In families of children with ADHD, the parent–child relationship is often severely disturbed (Deault 2010; Seipp and Johnston 2005). First, due to the ADHD behavior of the child, parents can become less patient, pay more attention to disruptive behavior and act more impulsively. This is called “parental overreactivity”. Parental overreactivity is predictive of externalizing behavior of the child (Johnston et al. 2002; Miller-Lewis et al. 2006). Second, parents of children with ADHD may have similar problems, because ADHD is highly heritable (Thapar et al. 2007). Third, parents respond in an automatic way to their children’s disruptive behavior (Dumas 2005), based on their own upbringing experiences, and from their judgment of their child’s misbehavior. Forth, parenting stress is elevated in parents of children with ADHD (Deault 2010) and under stress, parents may become more rejecting, controlling and reactive to their child (Bögels et al. 2010). In sum, children’s ADHD behavior, parents’ ADHD behavior, and parents’ own upbringing and judgments and parenting stress all contribute to parenting problems, which in turn influences the ADHD behavior of the child. Therefore, a treatment focusing on both the child and the parent is likely to be beneficial. Further, generalizability of cognitive behavioral treatments focusing on the child is noticeably low in treatments for ADHD (Pelham and Fabiano 2008), by also including parents in the treatment this may be enhanced. Mindful parenting is a form of mindfulness training and is defined as: ‘‘paying attention to your child and your parenting in a particular way: intentionally, here and now, and non-judgmentally’’ (Kabat-Zinn and Kabat-Zinn 1997). In Mindful Parenting, parents learn to pay attention to their children non-judgmentally, increase awareness of the present moment with their child, and reduce automatic (negative) reactions to the child (Lehtonen and Bögels, submitted). Also, by doing daily meditation practice, parents learn to take care of themselves and bring calm into their family. Bögels et al. (2008) studied Mindful Parenting for families of adolescents with behavior disorders (ADHD/ODD/autism spectrum disorders) (N = 14), with 8 sessions mindfulness for adolescents and 8 sessions mindful parenting, and found strong improvements on externalizing problems (ES = 1.2), and sustained attention (ES = 1.1). All in all, mindfulness training may be effective for children with ADHD and their parents (Bögels et al. 2008; Singh et al. 2010), but ample supporting evidence is lacking (Sawyer-Cohen and Semple 2010). Therefore, we conducted this pilot study investigating the effectiveness of a mindfulness training for children with ADHD and their parents using a within group waitlist design. We hypothesized that the mindfulness training would reduce children’s and parents inattention and impulsivity/hyperactivity, would improve parental mindful awareness, would reduce parental stress and overreactivity, but would not affect parental laxness. No change was expected for the waitlist on all of these outcome variables. School psychologists, paediatricians and general practitioners referred children for diagnosis and treatment of ADHD to an academic clinic in outpatient mental health care for children in the Netherlands. Inclusion criteria were (1) an estimated IQ ≥ 80, (2) the child being 8–12 years old, (3) a DSM-IV diagnosis of ADHD established with the parent and child version of the Anxiety Disorder Interview Schedule for Children (ADIS-C) (Silverman and Albano 1996; Dutch translation Siebelink and Treffers 2001). The ADHD, Oppositional Deviant Disorder [ODD] and Conduct Disorder [CD] sections of the ADIS parent and child version were administered by a trained clinical child psychologist. This semi-structured diagnostic interview has adequate reliability and validity (Siebelink and Treffers 2001). Further, participants had to be able to attend the first session and a minimum of six out of eight sessions of treatment. Exclusion criteria were: (1) inadequate mastery of the Dutch language by the child or parents, (2) severe behavioral problems established by a CD diagnosis on the ADIS-C, (3) co-morbid developmental disorder (autistic) (4) participating in another ongoing psychological intervention. Before participation, parents gave their written informed consent. A quasi-experimental waitlist control was used. Those families who had to wait at least 6 weeks before the treatment started (n = 11) received waitlist assessments, to control for the effects of time and repeated assessments. None of the families received any treatment between waitlist and pretest assessment. Mean waiting time was 9 weeks (range 0–20 weeks). Pretest was conducted 1 week before the start of treatment: parents, teachers and children completed questionnaires. Posttest was conducted directly after the last session of treatment, the follow-up test 8 weeks later. During active treatment children were not allowed to change medication-status or dose. The study was approved by the local ethics committee of the University of Amsterdam. The parent and teacher version of the DBDRS (Pelham et al. 1992) assessed DSM-IV disruptive behavior disorder symptoms. The DBDRS has 42 items and four subscales: Inattention, Hyperactivity/Impulsivity, ODD, and CD and is rated on a 4-point Likert scale. The Dutch translation has good reliability and validity (alpha range = .88–.94) (Oosterlaan et al. 2008). Higher scores indicate more severe symptoms. The Inattention, Hyperactivity and ODD subscales were used as outcome measures. The short version of the PSI was used, containing 25 items tapping “parenting stress”. Items are rated by parents on a 6-point scale. This PSI has excellent reliability (alpha range = 0.92–0.95) (De Brock et al. 1992). Higher scores indicate more parenting stress. The total score was used as outcome measure. The PS (Arnold et al. 1993) was used to assess ineffective discipline styles, on three subscales (laxness, verbosity, and overreactivity). The Parenting Scale is 30-item self-report questionnaire for parents, which is answered on a 7-point Likert scale. The PS has adequate internal consistency and test–retest reliability (Arnold et al. 1993). The subscales laxness and overreactivity were used as outcome measures. Higher scores reflect more effective discipline styles. Mindful attention and awareness of parents was measured with the MAAS (Brown and Ryan 2003). The MAAS contains 15 items, answered on a 7-point scale. The MAAS is a reliable instrument, assessing a unique quality of awareness (Schroevers et al. 2008). The total score was used as outcome measure. Higher scores reflect more mindful attention and awareness. The ARS was completed by the parents about their own ADHD symptoms, based on the 18 DSM-IV criteria for ADHD. The ARS contains 46-items, answered on a 4-point scale. Symptoms are reported over the current ADHD symptoms and the ADHD symptoms experienced in childhood. For this study only the subscale on current ADHD symptoms was used as outcome measure. The scale consists of two subscales (1) Inattentive behavior and (2) Hyperactive/impulsive behavior. The ARS has adequate reliability and validity (Kooij et al. 2005). Higher scores reflect more ADHD symptoms. The treatment is conducted in groups of 4–6 children and parents and consists of 8 weekly 90 min group sessions. During the mindfulness treatment of the children, parallel the parents received an 8-week training of mindful parenting. Mindful parenting and the mindfulness training for the children are based on Mindfulness-Based Cognitive Therapy (MBCT, Segal et al. 2002) and Mindfulness-Based Stress Reduction Training (MBSR, Kabat-Zinn 1990), but adapted for use with parents and children. For this study extensive manuals were written, in which the exercises were adapted to children with ADHD and their parents (see treatment). To enhance compliance, before the start of the intervention parents and children met individually with the trainers, to discuss the problems of their child, their parenting, their expectations of the training, motivation and the necessity of doing homework. For the children, a token-reward system was used to enhance their motivation, compliance for homework and their compliance during the sessions. Children received tokens for completing homework and participating in the exercises during the session. For every 10 tokens they received a reward of their parents. Also, other non-specific treatment aspects were used to enhance the treatment compliance for the children with ADHD. The sessions of the children were highly structured; the outline of the session was always visible for the children, and discussed at the beginning of each session. Also, group rules were established, written down on a sheet visible for the children and also discussed at the beginning of each session. The session content was also structured; every session had the same outline; it always started and ended with a short breathing meditation, there always was a 10-min break in the middle of the session and homework was always discussed before the beginning of this break. During the meditation exercises compliance to the exercises was enhanced by letting one trainer provide the exercise, while the other trainer assessed compliance to the exercise. Good compliance was rewarded during as well as after the exercise. Finally, the meditation room was as free from distraction as possible. Parents and children received session handouts describing the session theme, instructions for practice, and homework completion forms. Parents also received a CD with mindfulness exercises to practice at home. Parents and children who missed sessions were sent session handouts so that they could still do homework. Part of the first, part of the sixth and the whole last session were joint sessions, in which exercises were done with parents and children together. In the last session, parents and children were asked to make a plan about how to continue their practice in the 8 weeks from session 8 to the follow-up test. For a short overview of the exercises and session themes see Table 1. The MP follows an extensive manual, which is a modified version of the manual described in Bögels et al. (2008) and Bögels et al. (2010) to meet the needs of parents of school-aged children with ADHD. In MP parents learn to: (1) be deliberately and fully present in the here and now with their child in a non-judgmental way; (2) take care of themselves, as this is the basis for parenting; (3) accept difficulties of their child; and (4) answer rather then react to difficult behavior of their child. As parental stress causes over-reactive parenting, dealing with parenting stress is an important focus throughout the course. Parents are also instructed how to encourage their child to do its meditation exercises, and how to practice together. Parents also start mindfulness practice for themselves, in addition to the practice they do with their child. Also the child mindfulness training follows an extensive manual (Van der Oord et al. 2009). In MC children learn to focus and enhance their attention, awareness and self-control by doing mindfulness exercises during the training and as homework assignments. Also, they are taught to apply mindfulness in difficult situations, such as being distracted at school. By enhancing their attention and awareness it is expected that ADHD behavior will be reduced. After every session children receive a written summary of the topics of that week, and home work assignments. In the subsequent week, trainers check whether the homework is done. When the homework is completed children get points for which they can earn a reward at home. Both the parent and the child treatments were delivered by experienced cognitive-behavior therapists. There were two trainers for the parent and two trainers for the child group. All trainers had extensive mindfulness experience, but at least one of the trainers for the parent group and one of the trainers of the child group were experienced mindfulness trainers. They had received mindfulness training by international experts such as Mark Williams and were experienced psychotherapists specialized in CBT and group psychotherapy. During the course of the treatment, the therapists met weekly for supervision to discuss the group process and individual patients, and to ensure treatment integrity. To be able to incorporate all available data in the analyses, data were analyzed using multilevel modelling. Measurement occasions were treated as fixed. Each model consisted of 4 coefficients (waitlist, pre test, post test and follow-up test), representing the deviations from the overall mean at pre-test. The intercept was considered random, with its mean fixed at pre-test level, thus taking the overall mean at pretest as point of reference. Effects were evaluated with t-tests provided by SPSS, at a significance level of 5%. Of 24 families who participated in the treatment, 22 (16 boys, 6 girls) agreed to participate in the study and signed informed consent. Twenty-one children participated with their mother and one with her father. Six children (32%) had a history of prior mental health treatment for their behavior problems. Three children had received neurofeedback, one of them combined with integrative therapy. Three of the parents of the children had received behavioral parent training. Four children were treated with Methylphenidate or long-acting Methylphenidate preparations before entering the study (Mean dose in methylphenidate equivalent units = 19.73 mg per day/SD = 12.93). Methylphenidate dose was kept stable during waitlist, treatment and follow-up. Two children initiated Methylphenidate treatment after the active treatment. Mean waiting time for the participants who had to wait before treatment started (N = 11) was 9 weeks (range 6–20 weeks). None of the families received treatment (other than their regular Methylphenidate dose) during wait-list. Three (two boys and one girl) children (14%) did not complete treatment. One boy had too severe externalising and behavioral problems to participate in a group setting, another child was not motivated for treatment in a group setting, due to missing sports activities at the same time as the treatment; both only followed one treatment session. One child only followed three sessions, because her parents were not willing to participate in the mindful parenting anymore. These treatment non-completers were lost for further assessments. One child (5%) and his parents were study drop-outs; they completed all sessions, but didn’t want to participate in the post-test and follow-up assessments, resulting in a total N of 18 treatment completers. Out of the 18 participating families, 6 families missed one session and one family missed two sessions, resulting in an overall attendance rate of 94.44%. Data were analyzed for the primary caretaker; also the parent that participated in the mindful parenting. Participant characteristics are summarized in Table 2. In multilevel modelling all available data (including data of treatment non-completers) can be used in analyses. As expected, on all but one outcome measure paired t-tests showed no significant differences between waitlist and pretest (Table 3), only teacher rated ODD showed a significant increase from pre- to post test (Effect size = .39; small ES). From pre to post test there was a significant reduction of inattention (ES = .80, large ES) and hyperactivity/impulsivity symptoms of the child (ES = .56, medium ES) on the parent-rated DBDRS. Further, there was a significant reduction of the parental inattention and hyperactivity/impulsivity symptoms on the ARS, with small effect sizes (ES = .36 and .48 respectively). Furthermore, parents showed significantly more mindful awareness on the MAAS (ES = .28, small ES). Then, changes from pre- to follow-up test were examined. Again, inattention and hyperactivity/impulsivity of both parent (ES = .34/.50 respectively) and child (ES = .80/.59 respectively) showed significant reductions, with small to large effect sizes. Additionally parental stress (PSI) (ES = .57; medium ES) and overreactivity (PS) showed a significant reduction (ES = .85; large ES). Teacher rating of ADHD behavior of the child (DBDRS) showed non-significant effects from pre- to post test and from pre- to follow-up test. Although from pre- to posttest the reduction of teacher-rated inattentive behavior reached significance (p = .10; ES = .39, small ES). The results of this study evaluating the effectiveness of mindfulness for children with ADHD and their parents can be summarised as follows. First, on all but one measure, no effects of waitlist occurred, suggesting that in general changes measured cannot be attributed to the effect of time and assessment alone. Second, children’s ADHD symptoms, as rated by parents, significantly reduced after the training (medium to large effect sizes). Third, parents’ own inattention and hyperactivity symptoms significantly reduced (small effect sizes). These reductions of parent-rated ADHD symptoms of children and parents own ADHD symptoms were maintained at follow-up. Fourth, from pre to follow-up test there was a significant reduction of overreactive parenting and parental stress. However, we did not find a significant reduction of teacher-rated ADHD symptoms of the child, although the reduction of inattentive symptoms reached significance. ADHD is highly heritable and a diagnosis of ADHD of parents is a predictor of non-response to behavioral parent training (e.g. Sonuga-Barke et al. 2002; Van den Hoofdakker et al. 2010). By simultaneously providing mindfulness treatment for both parent and child ADHD of both parents and children can be targeted. Providing mindfulness treatment for parents and children simultaneously may target those parents high on ADHD, who are shown to be at risk of non-response to behavioral parent training. Further, an advantage of using a combination of both treatments is that we may have reached a group of parents who otherwise would have not would have not participated in treatment for themselves. Our clinical impression was that the main reason for parents to participate was for their child to follow a mindfulness treatment, and not treatment for themselves. Compared to regular behavioral parent training our effect sizes on the reduction of the ADHD behavior of the child as rated by parents, are comparable (ES = 0.8; see meta-analyses of Van der Oord et al. 2008). However, on the teacher-rated outcomes, we failed to show significant reduction of the child’s ADHD behavior. For behavioral parent training often significant effects are reported on both parent and teacher-rated outcomes of ADHD behavior (Van der Oord et al. 2008). Most behavioral parent training programs, also include some form of parent-teacher contact, an integrated reward system for home and school and sometimes a teacher training module. In our study there we did not actively involve teachers and there was no teacher-parent interaction about the mindfulness program. For generalization of the learned skills to the school environment in may be crucial to actively inform teachers on mindfulness and how to support the child in application of learned skills to the school environment. Most behavioral parent trainings provided in clinical setting have 8–12 sessions (see Van der Oord et al. 2008), compared with that the mindfulness treatment is somewhat longer (16 sessions: 8 parental sessions, 8 child sessions). Also, mindfulness teachers must have extensive personal experience of mindfulness practice and an embodiment of the foundations of mindfulness before beginning to teach mindfulness to clients (Kabat-Zinn 2003). Acquiring these experiences and these foundations takes time and effort making training of mindfulness teachers expensive and time-consuming. Thus, future studies should investigate whether mindfulness is cost-effective, taking into account treatment duration and training costs or therapists, compared to regular treatment options for ADHD. Many families asked for further mindfulness training after the follow-up meeting. Indeed, supporting families of children with ADHD to continue and deepen mindfulness practice over the years appears to be good clinical practice, particularly as children develop and change rapidly, and will be confronted with new and different challenges throughout development for which mindfulness practice may be helpful. Families need to find ways to continue practice and be reminded of the beneficial effects of mindfulness, children as well as their parents. It would be interesting to develop such a maintaining and deepening program for families of children with ADHD who have gotten some benefit out of the initial 8-week program and to investigate the longer term effects of such a continuation of mindfulness training. Unfortunately, parents were not blind to the treatment they received and were actively involved in the treatment. Teachers rated the child’s behavior, but were not actively involved in the treatment. Thus teachers can be considered more “independent” raters of the child’s behavior than parents. Further, our study was conducted in regular clinical practice, limiting the possibility of an active randomized control condition. In the absence of such an active randomized control condition and in the absence of significant effects on teacher ratings of ADHD behavior, we cannot ascertain that the observed improvements can be attributed to the specific treatment procedures, instead of non-specific treatment factors or expectancy effects of parents. That positive results reported by parents are due to spontaneous recovery, passage of time, or the effects of assessment, is unlikely, since there was only one significant change between waitlist and pretest. This change was an increase of ODD behavior, making spontaneous recovery issues even more unlikely. Also, due to practical and power constraints we were not able to include measures on constructs that may also have been influenced by the mindfulness treatment. For example, an important construct may have been the parent–child interaction. Our clinical impression was that positive interactions between parents and children increased by simultaneously participating in treatment and practising the mindfulness exercises together. Related to this topic, we do not know what element of treatment was most effective; the child mindfulness, the parent mindfulness or was the combination of both crucial for the effectiveness. Singh et al. 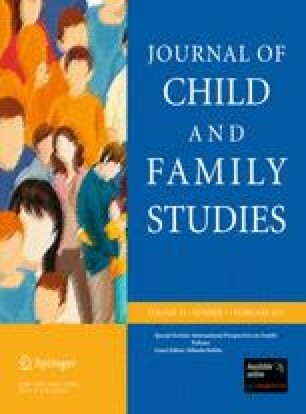 (2010) showed that after successfully providing mindfulness for parents, adding mindfulness for the child improved outcome of treatment even more. Although only exemplary, this provides evidence for giving the treatment package to both parent and child. Future studies should compare the effectiveness of mindful parenting, mindfulness for the child and the combination of both, to disentangle these treatment effects. The main focus of our study was establishing the effectiveness of this treatment package in regular clinical practice, before studying the possible mechanisms of change. Studies in adults show that mindfulness meditation may induce improvements in attentional processing (e.g. Jha et al. 2007; Semple 2010; Tang et al. 2007). A recent study shows that adults with a lot of meditation experience, show increased possibilities to focus attention, and improved inhibition of automatic responses compared to non-meditators (Van der Hurk et al. 2010). Inhibition is a core deficit in ADHD (Barkley 1998), urging the need for treatments focussing on the core deficits. It remains unclear whether core deficits in ADHD (e.g. inhibition) can also be enhanced in clinical samples of patients or children with ADHD through mindfulness. Results of our study must be viewed in the light of methodological limitations, it was a pilot study was a small sample size, mostly Caucasian, with a medium to high education level of parents. Current literature suggests that high socio-economic status and being Caucasian are factors associated with complementary and alternative medicine use among the general population (Tindle et al. 2005), this may have also influenced the compilation of our sample. Further, our academic clinic is located in an area of Amsterdam with large proportion of families with high socio-economic status, which also may have caused a selective sample for our study. Future research is needed to determine effectiveness of this treatment in a broad ADHD population and whether this approach is more appropriate for certain subgroups within the ADHD population. All in all, our study shows evidence for the effectiveness of mindfulness for children with ADHD and their parents, as rated by parents. However, in the absence of substantial effects in the school setting, we cannot ascertain effects are due to specific treatment procedures. Since in clinical practice the popularity of mindfulness-based interventions for ADHD is rising, future studies should focus on gathering empirically sound evidence for the efficacy and effectiveness of mindfulness-based interventions, preferably including ratings of independent observers as outcomes. Frans Oort for statistical help, Joke Hellemans participated in the delivery of the training and supervision of trainers, and Rianne van der Kleij and Stephanie Mizrahi assisted in the assessments and data preparation.